To make life a bit easier in the Tornevallverse, a new portal for creating WordPress sites is currently taking form. You can find out more, what you can do with it at https://wordpress.tornevall.net/. Currently user registration are available, but not the site itself (since it requires an automation of building and linking domain names properly). The two primary portals (this site and TorneAUTH) is not going to be migrated into that service yet. Do you feel that the DNSBL resolvers are too slow for your requests? In cases where this happens, you might want to apply for an own DNS slave server. You can do this by sending a mail to support@tornevall.net – you can also send a mail if you would like to contribute with more slave servers to extend the reachability of the services. If you think the service is worth donating to, so that it can be extended furthermore, take a look here. There are several side projects going on right now. One of the completed “milestones” is the SpamAssassin configurator that was finalized today. For a few hours ago, we’ve started to work on a DNS editor, that makes it possible to update entries into two of our master DNS-servers. This is another milestone as much of the changes today are being made manually with regular zone files. We’ll still go that way, but in a near future, it will be possible to update records live. This work might speed up our DNS Blacklist a bit, which might give us a chance to live update both the primary master server and the second backup without hourly reloading. The DNS API was besides of this not even planned – it was “just a test” to see if it was possible and suddenly, there was an almost complete interface for it in the API. 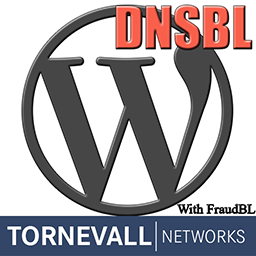 Yes, there was recently a minor release of the DNSBL WordPress-plugin also (not a milestone), but the release was too small to set up a whole post for it. But here goes, 2.0.6 gave us one minor update, as we had problems with blacklisted users requesting for delisting in the delisting-page comment fields. Those fields are less checked than the support mailbox, so the patch was based on removing comment abilities in the removal page as an option in the admin configuration. Our donation-page “help us survive” is back on track again. As this site is not owned by any company or organization, our finances for it is also zero and handled completely privately on spare time – and time is something that we do not have much of. Would you like to give us financial support, by donations? Check out the alternatives here!